The story is told in alternating chapters through the ears, nose, mouth and fingers of Marie Laure, a young French girl who goes blind at a very young age, and the mind of Werner, a delicate German orphan with a seemingly effortless understanding of electrics and engineering. These two gifted children are the perfect perspectives for this unconventional look into perhaps the most written about historical event of all time. Although the events are familiar to most people, the outlets by which we are experiencing them are new and thought provoking. Marie Laure must come to terms with the loss of her eyesight in the midsts of the beginning of World War II, while Werner sees the chance to train at a military academy under the Nazis as an opportunity to escape his difficult life. This circumstance, and countless others, shed light on the hidden horrors of the darkest time in our history. The real beauty of this novel lies in the rich and all encompassing sensory descriptions that make up the backbone of this narrative. 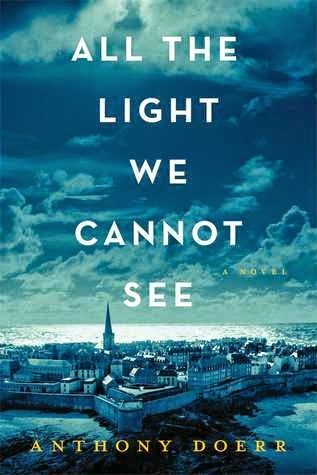 The reality that one of our protagonists is blind allows for Doerr to transport us to a world where smells, sounds and textures are our only outlets into the chaotic setting of World War II France. It's hard for me to judge the legitimacy of this perspective, as I myself am not blind, but it truly feels like he understands what Marie Laure would be feeling in any given situation. Werner uses his knack for engineering as a guide for how the world works, and I was fascinated by his processes. A running theme in this novel is the use of radios in Europe during the war. Both Werner and Marie Laure are captivated by radios during their formative years, and this technology shapes their lives significantly. It also allows for their stories to intertwine fairly early in the narrative. Radios are the foundation of both of the children's roles in the war, but for very different reasons. What makes their wide eyed fascination so compelling is that it allowed me to look at modern technology, mainly the internet, in a completely different light. The idea that so many people could be connected from all around the world is truly remarkable, especially during times of seemingly total darkness. Parallel story lines call for parallel plot points, and this novel makes use of that expertly. Although there are multiple abrupt jumps in time, forwards and backwards, the two protagonists stories' always seem to mirror one another. The more revealing moments occur when Marie and Werner both find themselves bathed in darkness, Marie more often than Werner, and yet in Werner's situation (trapped in a collapsed house, buried under piles of rubble), Marie would be better equipped to find a way out. The novel does a great job of highlighting the strengths and weaknesses of all characters, especially in the most unlikely situations. I did find the beginning of the novel to be slow, but deliberately and appropriately so. There is so much detail and beautiful imagery to savor, I would never call the introduction "boring" and I realized early on that I would be missing the careful pace when the war began. Doerr is an expert at matching his writing style to the events of his story, and he knows when to limit your senses and when to expand them, based on what we are experiencing. I admired his writing technique greatly, and I found myself highlighting more passages from this novel than any other I have read on my Kindle thus far. “This was a gesture of friendliness, maybe. It’s like I’m saying to the reader, ‘I know this is going to be more lyrical than maybe 70 percent of American readers want to see, but here’s a bunch of white space for you to recover from that lyricism." Lyrical is the perfect way to describe this prose. I found myself yearning for a score written specifically to the events of the story, as I often listen to film scores while I read. The idea of this beautiful novel being turned into a movie is too daunting for me to think about, but it is begging for a Hans Zimmer/John Williams masterpiece. The emotions are all there, and they would translate perfectly to music. This idea is the heart of the novel, and the most thought provoking idea that I took from the story. Scientifically, this question is fascinating, but when the same question is directed towards Marie Laure's life, or Werner's experiences and hardships, the true essence of the novel is revealed. I think it is pretty obvious how I feel about this book. I can only hope (for your sake) that you add this to your list of books to read. Sooner rather than later. You won't regret it. Want to immerse yourself in a lyrical, descriptive drama? Click this link and support The Lone Book Club! I want to read this book so badly now. THANKS! It is now on my audible.com wish list. Thanks!